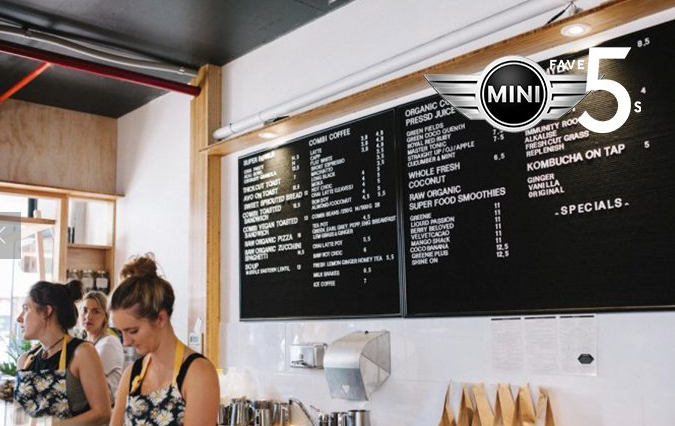 GET EXCITED…… The Melbourne cafe scene is booming! Woohoo! One thing I love about the city is its cafes! When I discover new healthy, clean and tidy places which are easy to find and have AMAZING healthy and tasteful foods, I am there. 24/7. Although there is a variety of culture cafes down Hardware Lane, Degraves street to name a few, which I know of and enjoying eating at, I like to spend the whole day in the city to explore and find places I’ve never heard of before or are new. 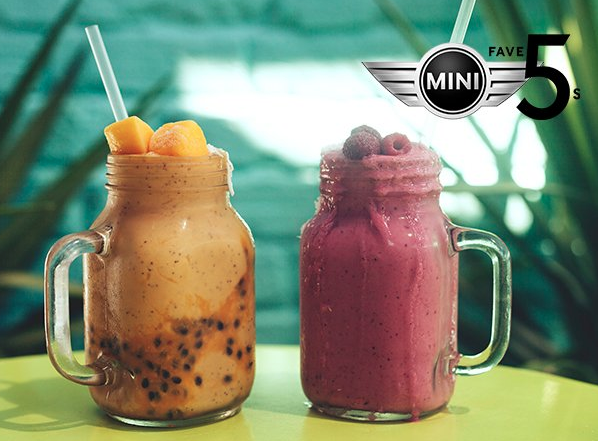 I tend to go for restaurants/cafes where I can grab a smoothie on the run, enjoy all-day breakfast lunch with Uni friends or my mum, places which have a chilling and relaxed atmosphere for when I want “me” time (often during exam periods) and tick the most important box- have. incredible. food. I read an article on health/eatery/beauty/ local directory website The Urban List listing their Fave 5 Clean Eating Cafes in Melbourne and agreed with every single cafe, I HAD to re-blog so you could discover them too, and see some of the places I like to eat at when I eat out. I highly recommend the next time you’re in the city or visit Melbourne, to check them out on your morning walk, by tram, after a day trip etc because they are worth it and won’t disappoint you! I promise. Whats on the hit list of Melbourne’s best healthy cafes? DISCOVER, BELOW. In the beachside suburb of Elwood, Combi is a clean-eating Melbourne cafe set. With a rustic, beachy fitout and a super-chill vibe, Combi produces some of the most delectable raw cakes and treats in Melbourne. 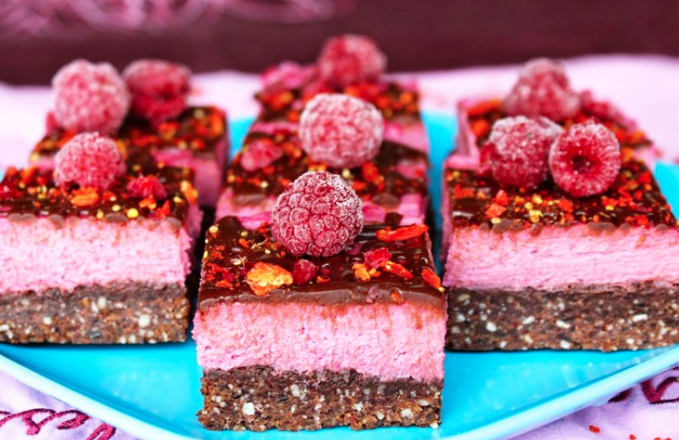 Organic raw raspberry and Acai cake? Yes, please! Their organic Acai bowl is one of the yummiest and downright prettiest options they include. It’s chock full of banana, blueberries, house-made nut mylk, crispy coconut flakes, activated caramelised buckinis, maca, and cranberries (so, basically, lots of healthy stuff). The raw organic superfood smoothies are another winner— the Velvet Cacao a chocolate-y health hit. And, come lunch time, Combi also does a mean toastie, soup, and raw pizza. The first Paleo café in Melbourne, Patch Cafe is tucked away on leafy Bendigo street in Richmond, within the restored heritage surrounds of Studio 9. Patch is a chic space, perfect for a post-workout primal pick-me-up and is owned by local personal trainer and Paleo devotee, Tom Davidson. It’s open for breakfast and lunch every day with plenty of locally brewed coffee to go around for everyone! As for the menu, the unprocessed, Paleo fare is downright delicious, no matter what your dietary needs are. Our Patch Cafe picks are the Cave Man brekkie of eggs, bacon, tomato, Wagyu beef, sweet potato fritter, silverbeet, and kale, with relish, and the oh-so-fresh smoked trout salad, peppered with pine nuts and capers. Owned by celebrity personality and ultimate foodie, George Calombaris, Mastic, a clean-eating cafe, on Cotham Road in Kew, has a focus on healthy, wholesome, Hellenic fare, and he insists it’s not a Paleo cafe, but a ‘healthy food store’ (whatever you say, Georgie Boy). The space is fresh with white tiles, exposed brick, a quirky breeze-block bar and… table tennis tables. That’s right, you can pong on while you sip on your Will & Co brew (made with almond or coconut milk if you’re a real health nut). Mastic’s menu is full of unprocessed goodness, boasting a lot of veggies, salads, and sandwiches, with a distinct Mediterranean influence. Gluten-free friends, this excellent Melbourne cafe is for you. No tour of the best healthy Melbourne cafes would be complete without a nod to the west. Luckily for the fine folk of Yarraville, they’ve scored the cream of the clean-eating cafe crop, with the recent arrival of friendly health-food haven, Heal.Thy Self Co. Here, it’s all about sustainability and simple, nourishing plant-based food; it’s also a must-visit for the gluten-, sugar-, dairy-free and raw enthusiasts. Give your gut health a boost by sipping on housemade Kombucha (don’t be scared, it tastes delicious! ), or sate that sweet tooth with a raw Snickers bar (because, SNICKERS). The Cheeky Chia Parfait is maxed out with Omega 3s for a healthy ticker, and there’s even a version of a chicken schnitzel wrap that won’t see you caught up in the food shame spiral later. But the real treat at this clean-eating mecca is the Super Smoothie menu. Choose from the Be Kind, Be Loving, Be Awakened or Be Strong smoothies… but whatever you do, check out Heal.Thy Self Co, stat! 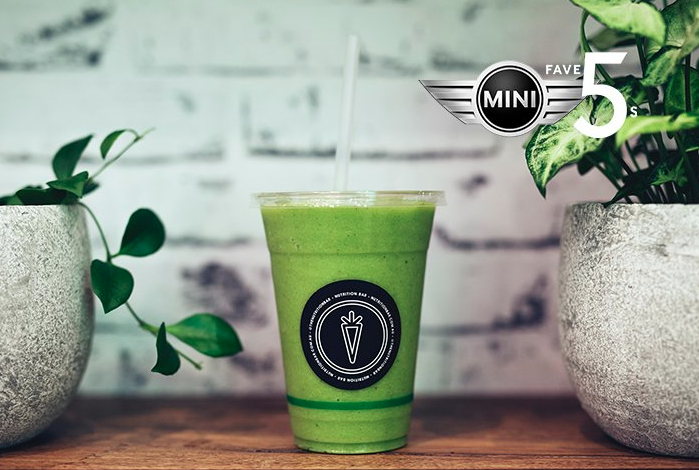 One of the first health bars in Melbourne, The Nutrition Bar has outposts in Richmond, Windsor, and St Kilda Road, making it a no brainer for on-the-go clean eats. The Swan Street original has just celebrated its first birthday—and we’re stocking up on protein balls for a celebratory feast at this Melbourne cafe! Aside from said ball-shaped deliciousness (hmm), we dig this healthy Melbourne cafe’s Acai bowls (the peanut-butter bowl is a must try), cold-pressed juices, and green smoothies, and their simple, fresh salads, such as raw pad thai, are the perfect clean-eat treat for lunch. Nothing is more thriving than a cafe which has food available for 12 HOURS of the day! Yep, 9am – 9pm service 7 days a week.. Winning! 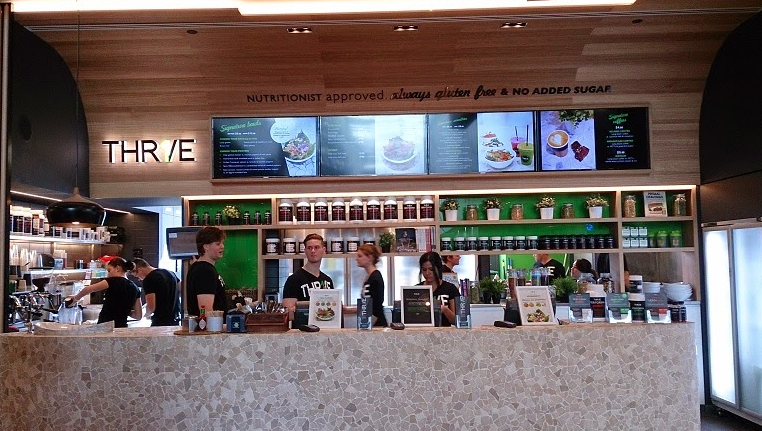 THR1VE is paleo inspired cafe located in the newly built Emporium Shopping Centre, Melbourne CBD, with outlets in Canberra, Sydney, Adelaide. 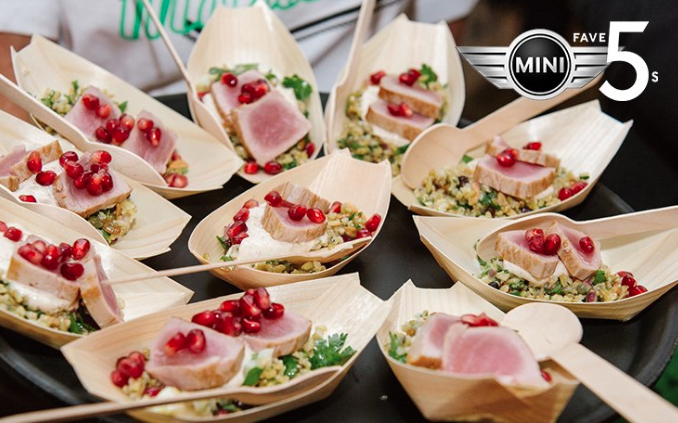 There food is sourced locally, gluten-free, rich in quality proteins and healthy fats and free of added sugar. You can expect freshly made ‘fast food’, smoothies, juices, take-away macro bowls, raw snacks or if thats not appealing, you can pretty much create anything you want, if it’s on the menu of course. THR1VE is the place to be for those wanting to transform their lives naturally to become a stronger, fitter and healthier self or just simply enjoy nourishing and nutrient dense food. See… THR!VE really is a thriving place to eat at.